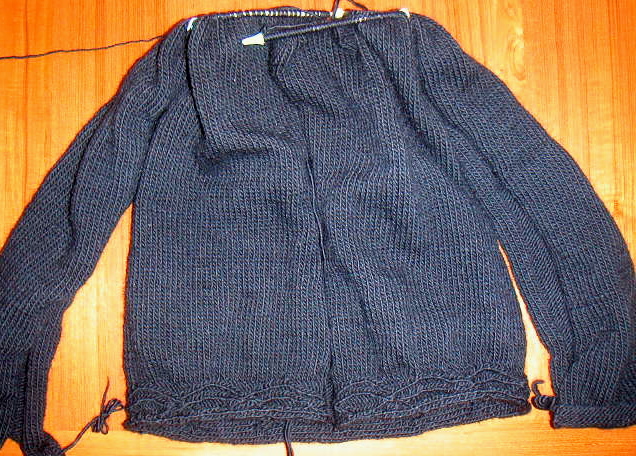 I knit nonstop this weekend, so I could finish the sleeves and attach them to the body. Knitting the sleeves is a little tight right now because there isn't a lot of leeway in the small area that was bound off on the body. Hopefully, once I start doing more raglan decreases, things will get easier.